A guide on how to invest in Ethiopia has been launched to give investors all the information they need when investing in the Horn of Africa country. The online investment guide (iGuide) to Ethiopia was launched in Addis Ababa at the headquarters of the United Nations Economic Commission for Africa (ECA) on 19 December. The iGuide provides investors with all they need to know to invest in the country. It also highlights areas for reform in the country’s investment environment and helps the government to understand investor needs. “The investment guide is about making relevant and up-to-date content available to existing and potential investors,” said Fitsum Arega, Ethiopia’s Investment Commissioner. The website covers topics such as the rules and procedures for starting a business, taxes, acquisition of land, skills and wage expectations of the local labour force, quality of infrastructure, investor rights and business sectors with exceptionally high investment potential. Users who wish to obtain more detailed information can consult additional documents that have been uploaded, such as relevant laws and useful contact information. The site also features extensive feedback collected among investors on the ground. Officials at the Ethiopia Investment Commission developed the content of the guide, with the site designed to make the information easily updateable. “The guides help countries attract better quality and greener foreign investment, and provide investors with information that is otherwise scattered across many different websites or outright not available,” UNCTAD Deputy Secretary-General Isabelle Durant said at the launch. “UNCTAD has estimated that annual private investment flows of $2.5 trillion are required between now and 2030 to meet the sustainable development goals,” Durant added. Also present was ECA Executive Secretary Vera Songwe, who said that the online guide was a “demonstration of taking Africa to the digital age”. To date, UNCTAD has produced 16 investment guides in Africa, Asia and the Caribbean, of which seven, including Ethiopia, have been created in partnership with the Economic Commission for Africa. UNCTAD say its data has shown that countries benefiting from investment guides have a stronger foreign direct investment performance when compared to the benchmark trends for all developing countries. In Africa’s fastest-growing economy, the International Finance Corporation (IFC) says even the most successful companies are being tested by deep-pocketed competitors and surging demand. IFC cites Habesha Breweries which aspires to become Ethiopia’s leading brand. The company’s whose growth plans have been curtailed by the country’s depreciating currency and competition from global brands such as Heineken and Castle. The brewer introduced Habesha beer just two years ago and has expanded three times and wants to expand further. The IFC is planning to provide a syndicated-loan facility of up to €70 million to support the company’s €131 million expansion. 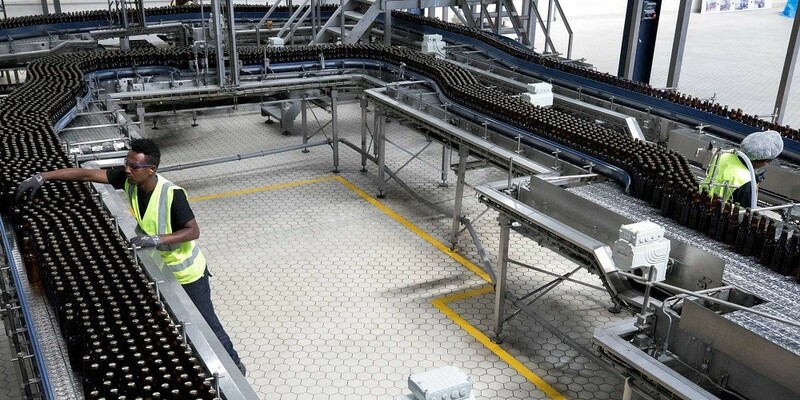 Habesha aims to increase production nearly eightfold to 4.5 million hectolitres—or nearly 119 million gallons of beer—within five years. The iGuide Ethiopia gives prospective investors the most crucial information without having to manoeuvre the maze than can be when it comes to investing in a foreign country. Information available in the guide includes visa acquisition, investment permits, contacts and how much it costs to get into the investment of interest.